P'kolino Kube Drawer (msdsfpkdr) at Pure Design Kids / Storage / Shelving ::: Kids' Toys, Furniture and More at Pure Design Kids! Playfully Smart Storage! The P'kolino Kube Drawers are part of a modular system, so you can configure them to your needs. These stylish wood pieces compliement the PÍkolino Playfully Smart Collection and can be accented with several colors to be at home in any environment. These Kube drawers are free rolling on casters so you may take them to where the toys are, pack, and stow away. 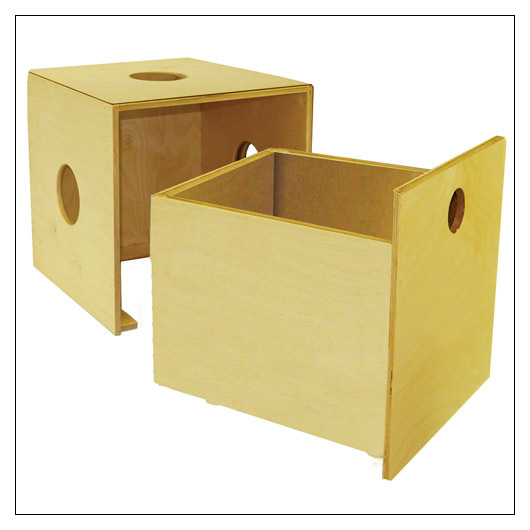 They are made from composite wood with bass wood lamination. Each has plenty of room for whatever you may need to stow away. The Kube Drawer comes with the Drawer as well as the Kube Frame. Materials: The P'kolino Storage Kube Drawers are made from composite wood with basswood lamination. Please allow an additional 7-10 days to ship. "Lower 48" United States sales only.